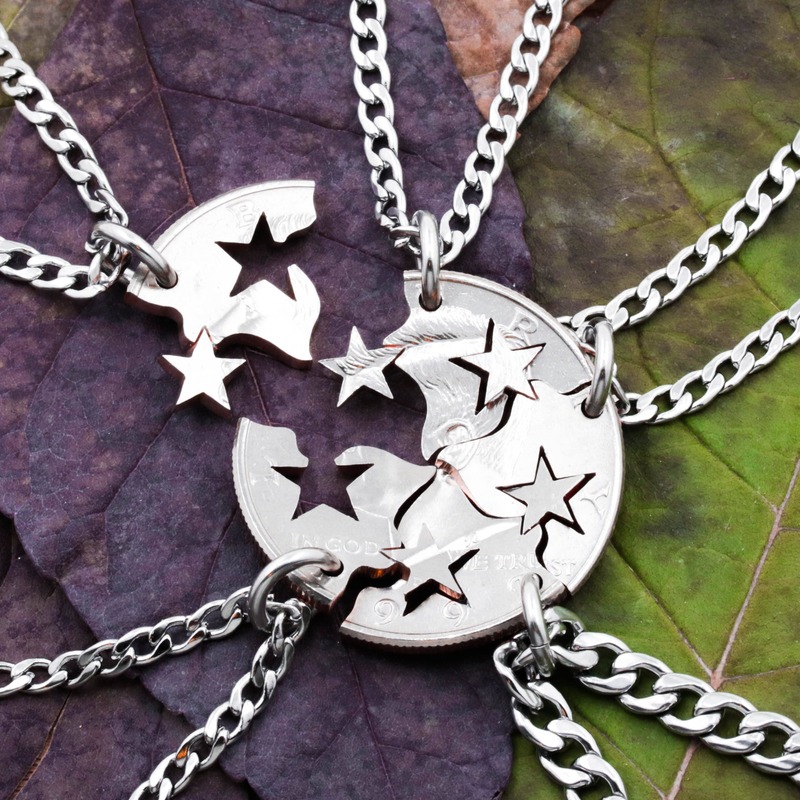 Your friends are stars for you, beautiful and always there when you need them. 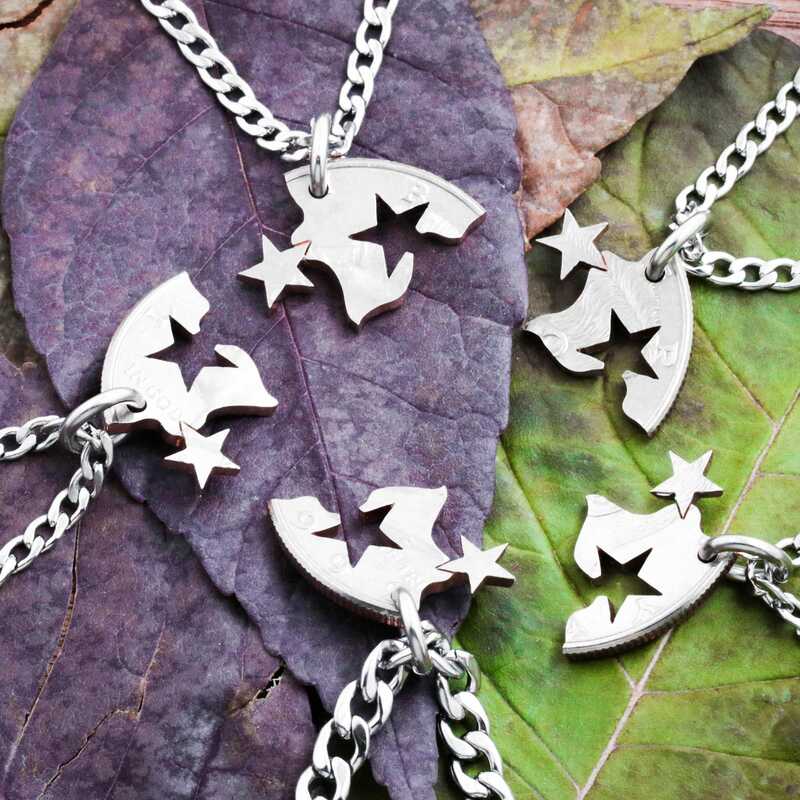 These Star necklaces all fit together into one. So they symbolize your togetherness. We have cut 1 coin into 5 pieces. 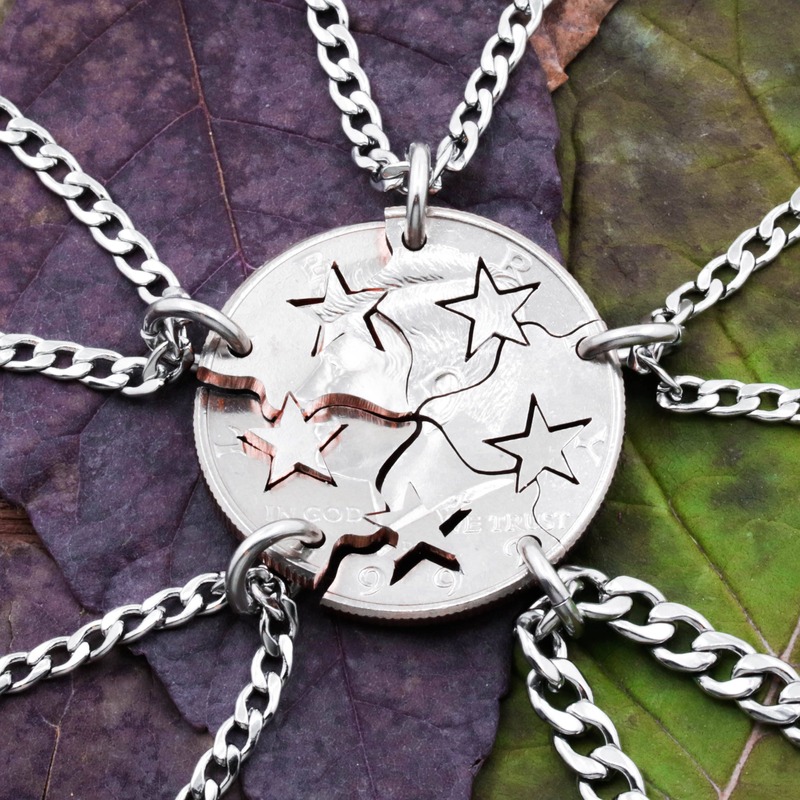 Each piece has the positive and negative shape of a star. 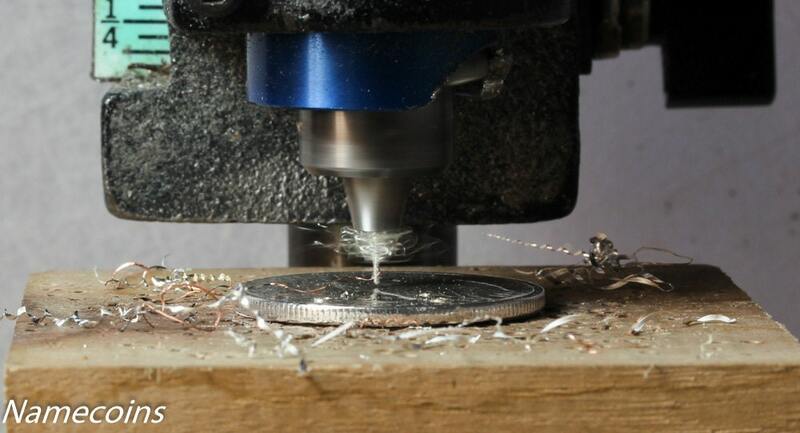 We cut all our jewelry totally by hand. That means that your set will fit only with each other. 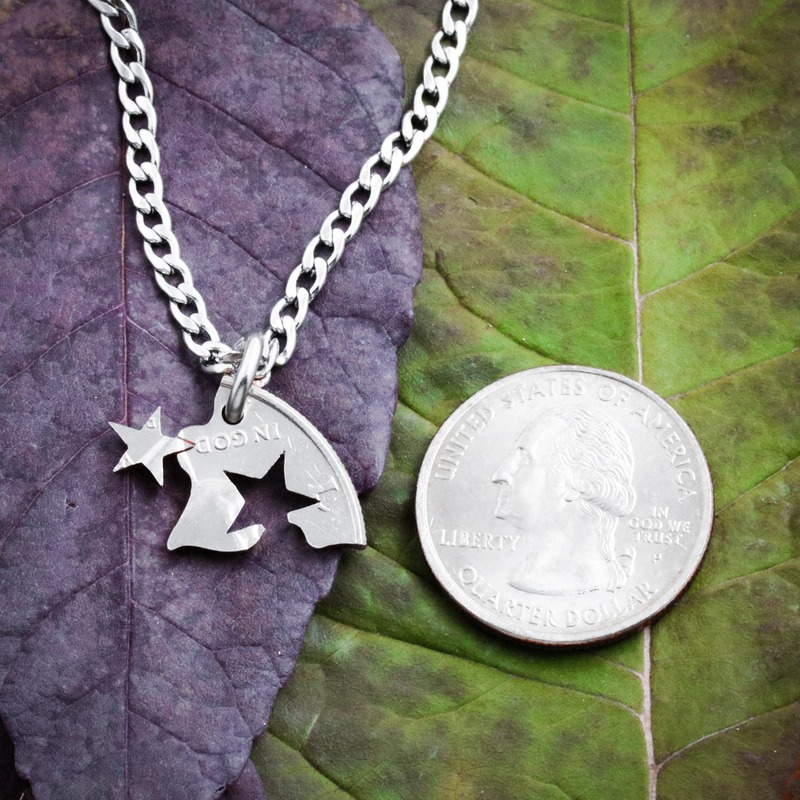 The chains are strong and smooth and made of stainless steel. Such a beautiful and special gift for a group of friends. Thank you!